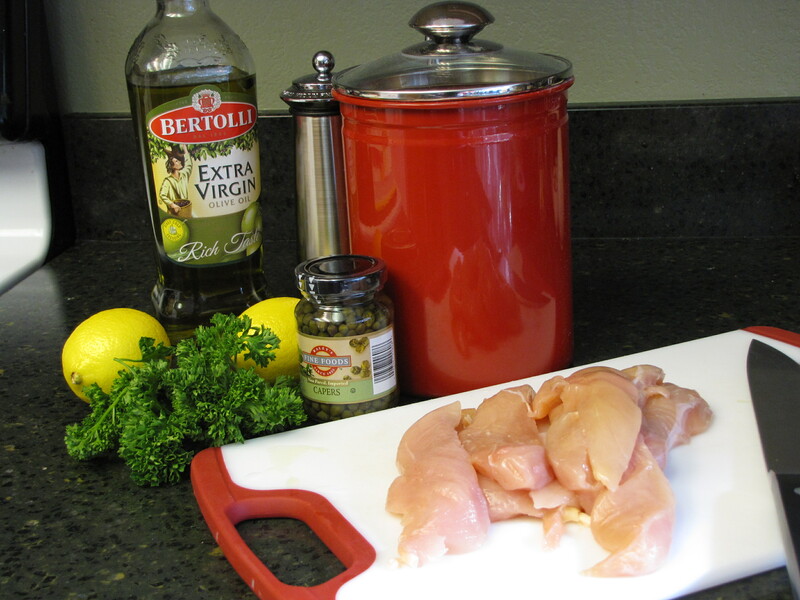 This is a wonderful, lemony fresh way to prepare chicken. Its light, delicious and so tender you can cut it with your fork. 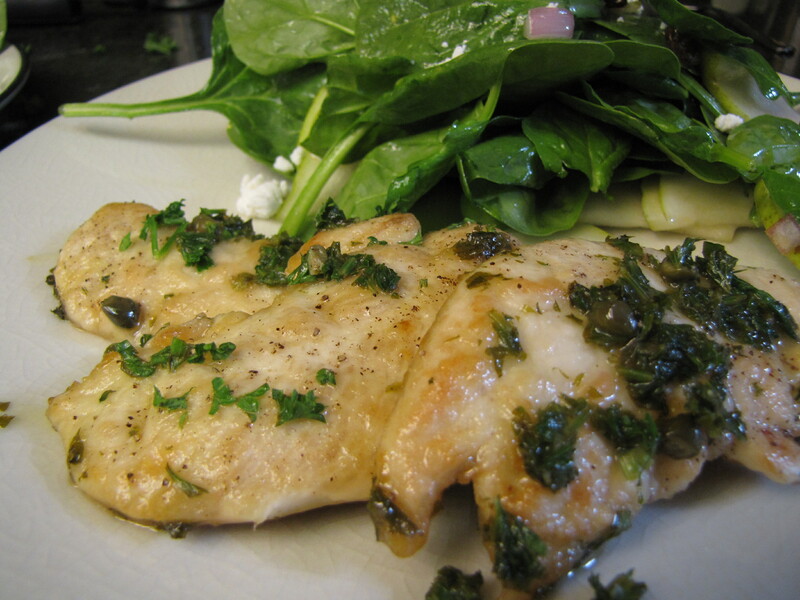 The capers and parsley meld perfectly with the lemon, its simple, fresh and healthy! 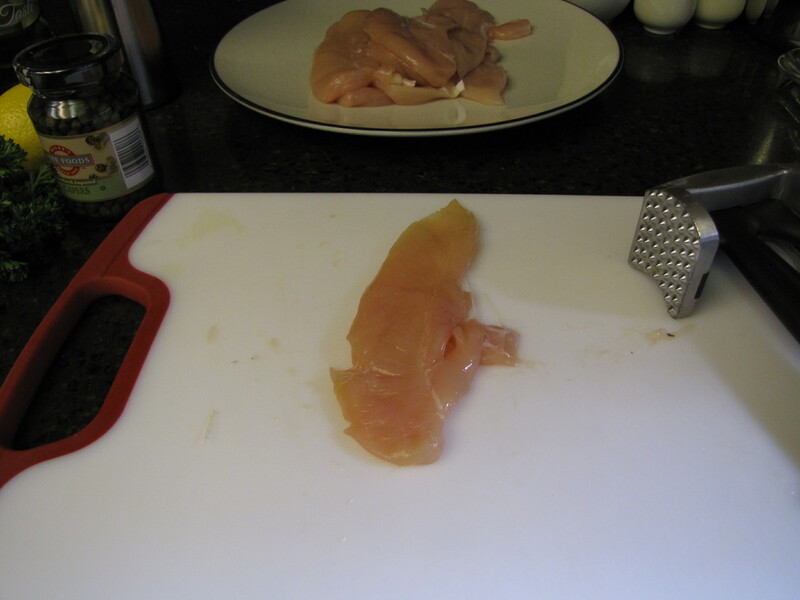 Pound chicken tenders with the smooth side of a meat mallet or with a rolling pin covered in plastic wrap. 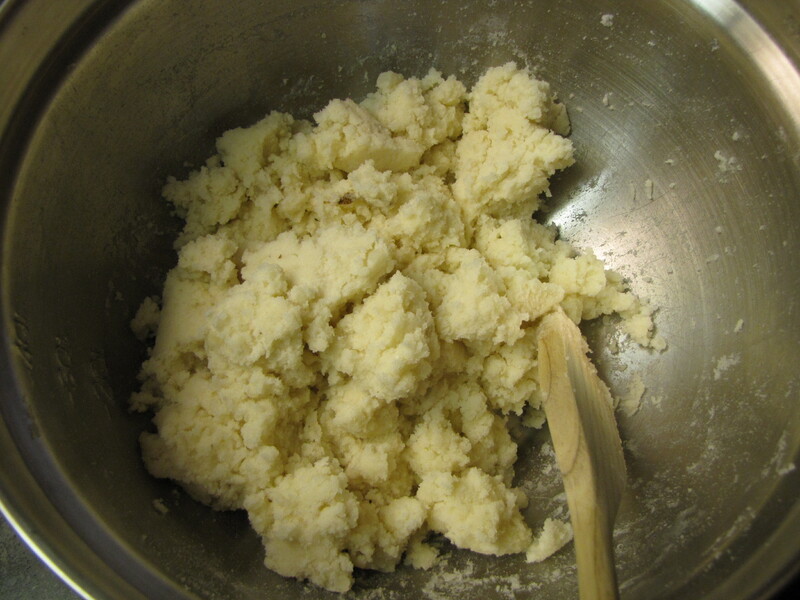 Flatten until 1/4″ thickness and then dredge through flour. Heat a large skillet over med-high heat, add the oil and heat until sizzling, place the chicken in the skillet. Cook 2 minutes on each side or until lightly browned and cooked through. 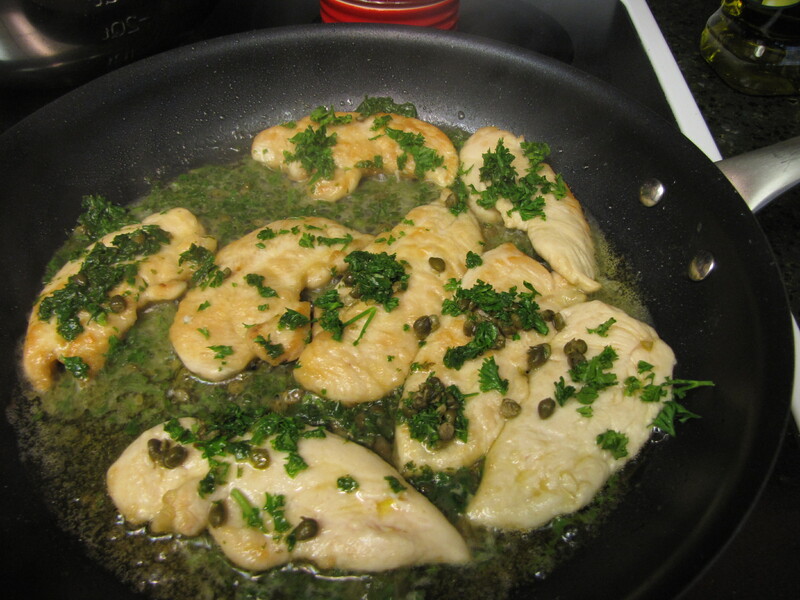 Add lemon juice, parsley and capers. Bring mixture to a boil. 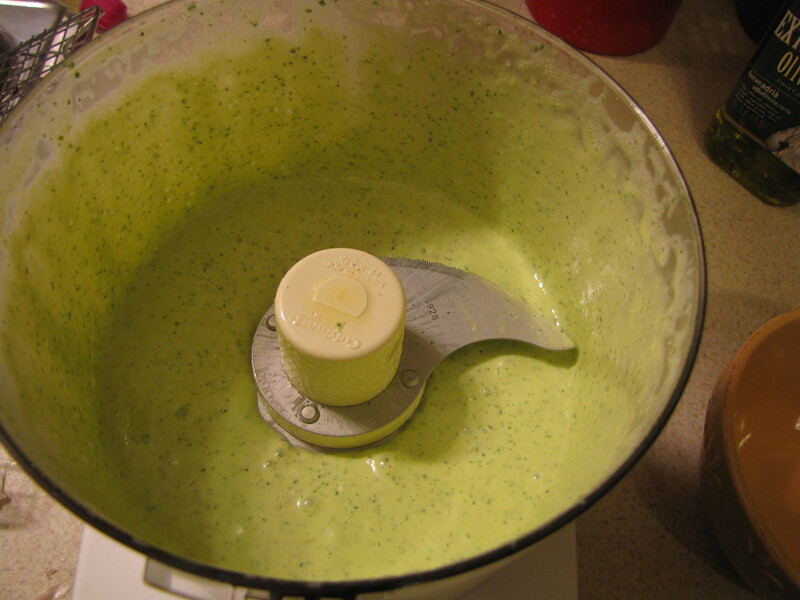 Reduce heat and simmer for 2 minutes to allow flavors to blend. Season with pepper. Serve the chicken with the juices from the pan. Yield 4 servings. 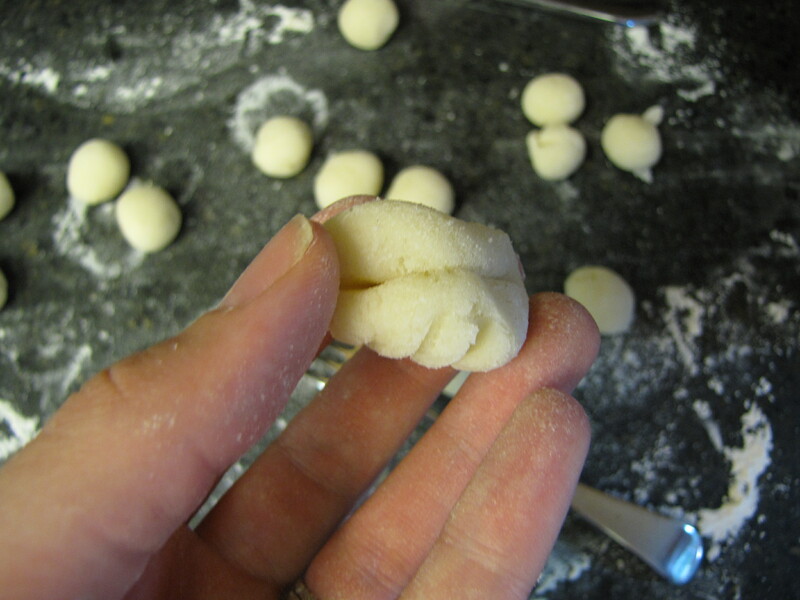 I’ve always love these tasty little potato dumplings, but it was on my honeymoon that the love affair began. I must have tried 15 different restaurant’s gnocchi and never once did I get sick of it. Potatoes and pasta. Or is is pasta and potatoes? One thing is for sure, its a carb lover’s dream. And the variety! 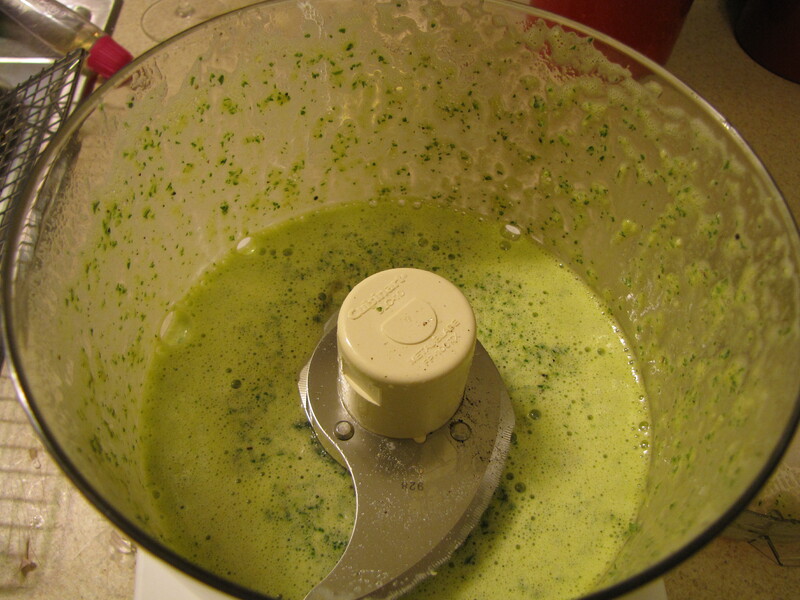 You can do meat sauce, pesto, alfredo, whatever you like! I was so excited, yet very intimidated when I found this recipe, once again thanks to my subscription to Cooking Light. Gnocchi just seems like the thing you mess up if you don’t know what you are doing, and so there was a frozen pizza for back up, just in case. But in the end, my husband was impressed, I was in heaven and this recipe made it into the almost weekly rotation and the whole process was a lot easier than I thought it was going to be. Here its with a lemon thyme sauce. 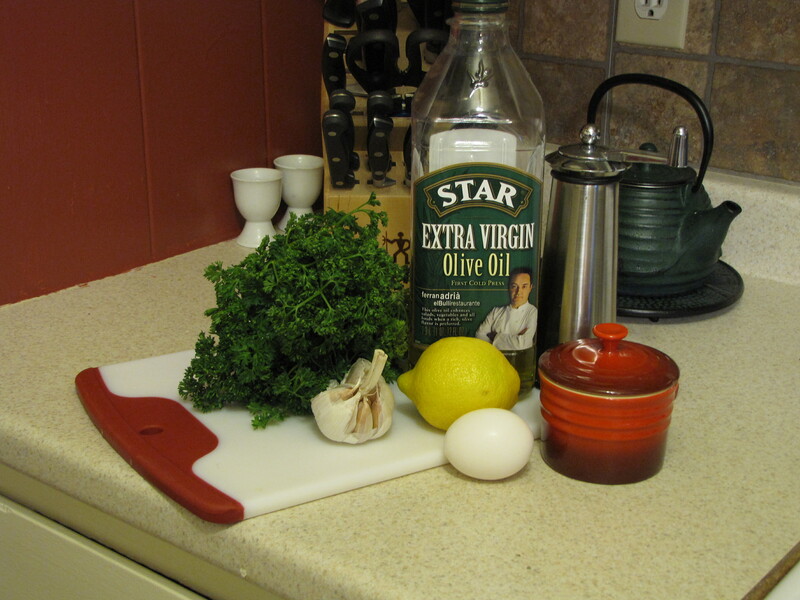 According to me, you can’t have too much citrus and you can never have too many shallots, that is why this sauce is the best. 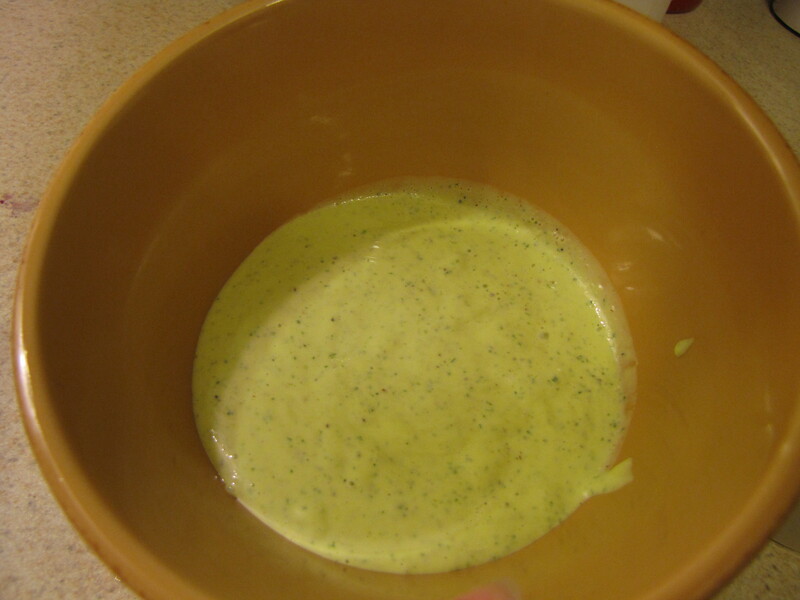 But try something different if want, any sauce will do. 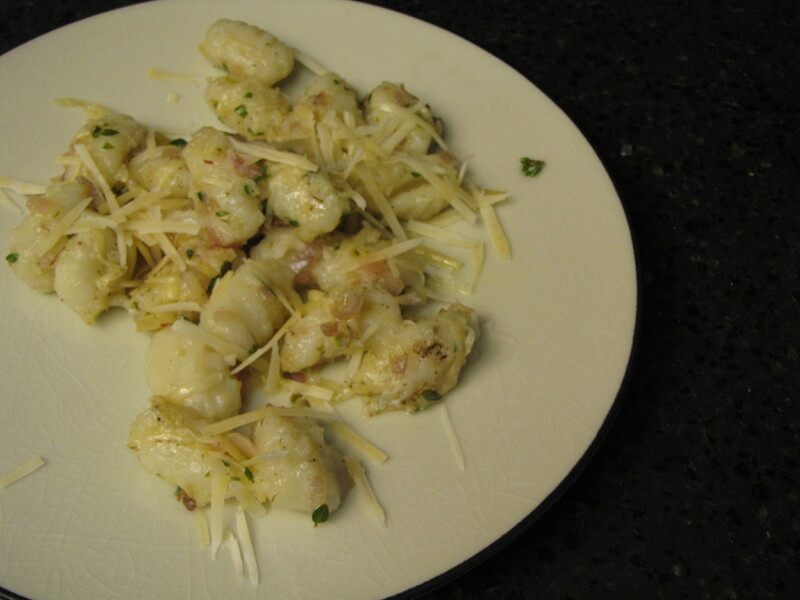 Gnocchi is very inexpensive to make and and can be a great Sunday afternoon activity for the whole family. First, wash poke and bake the potatoes at 400 for 1 hour. 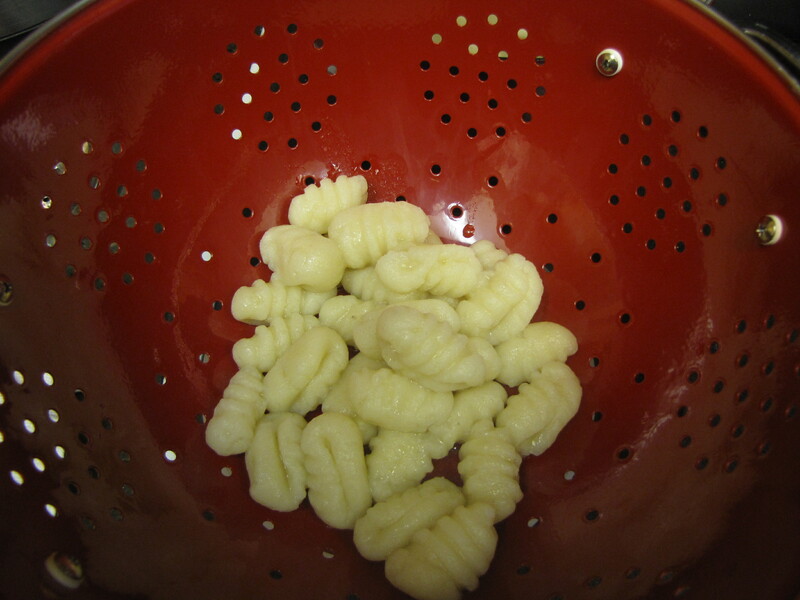 Allow them to cool enough to handle and then peel them and pass them through a potato ricer. Lightly spoon flour into a measuring cup. Add flour and 3/4 tsp. 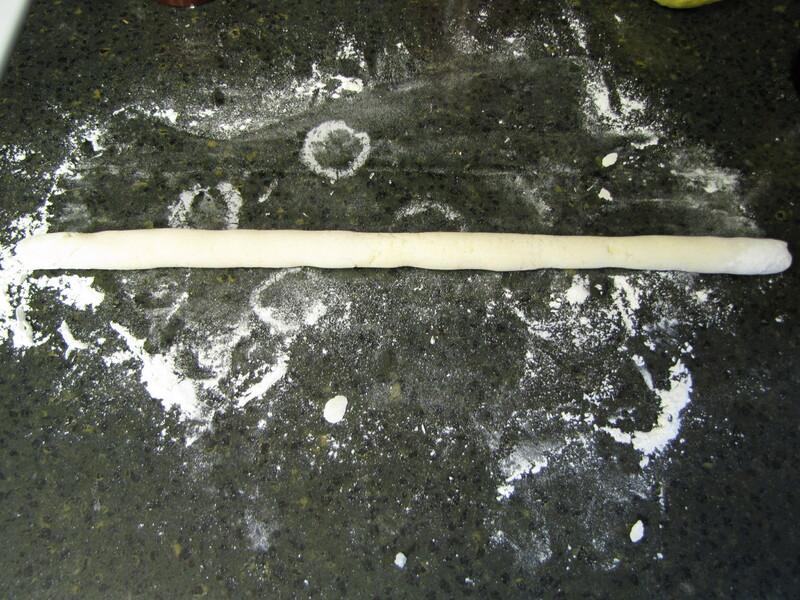 salt and stir to form dough. Turn dough onto a lightly floured surface and knead until smooth. 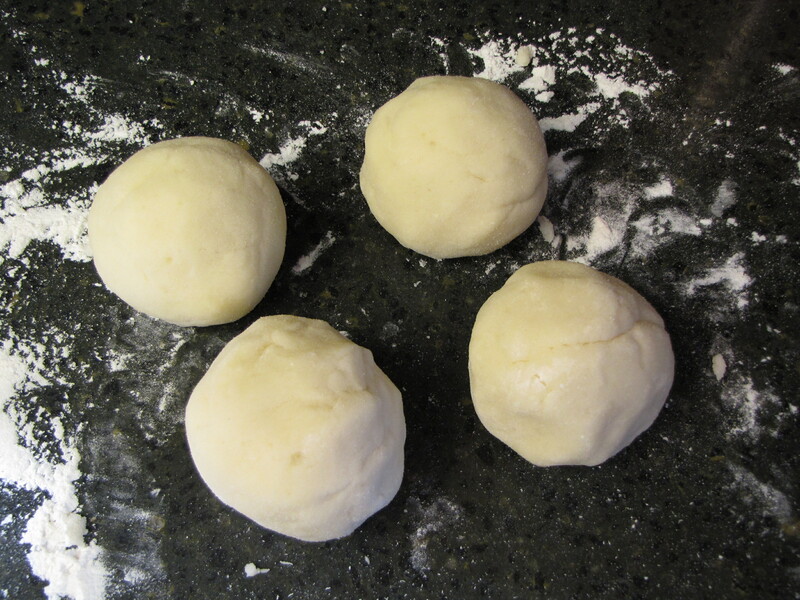 Divide dough into four balls, cover the dough you are not working with to keep it from drying out. Roll a 20 inch rope out of the ball. Cut rope into 20, 1 inch pieces. 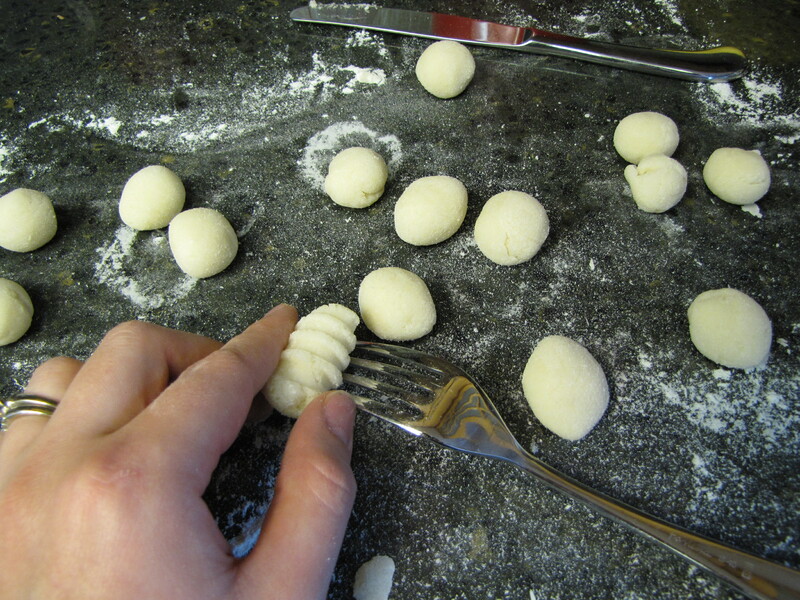 Using a lightly floured fork, use your thumb to roll each piece down the tines of the fork. 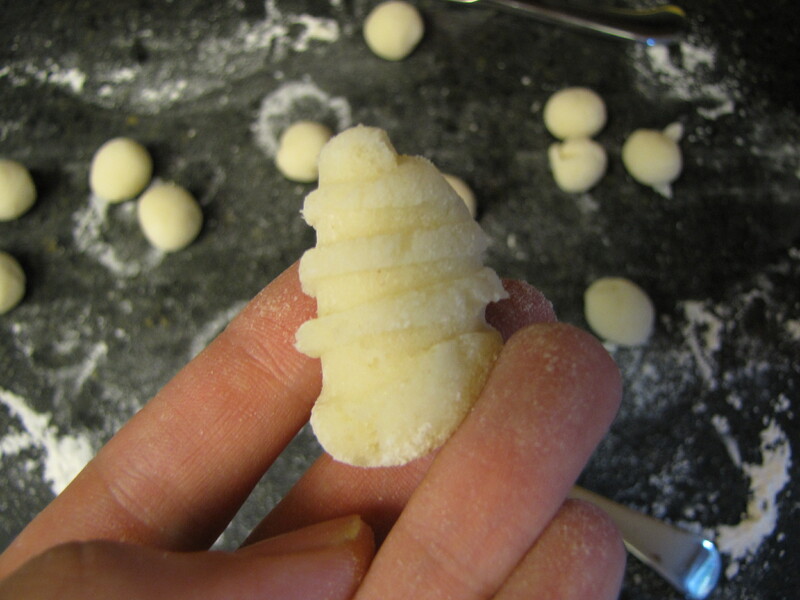 Gnocchi should have ridges on one side and an indentation from your thumb on the other. 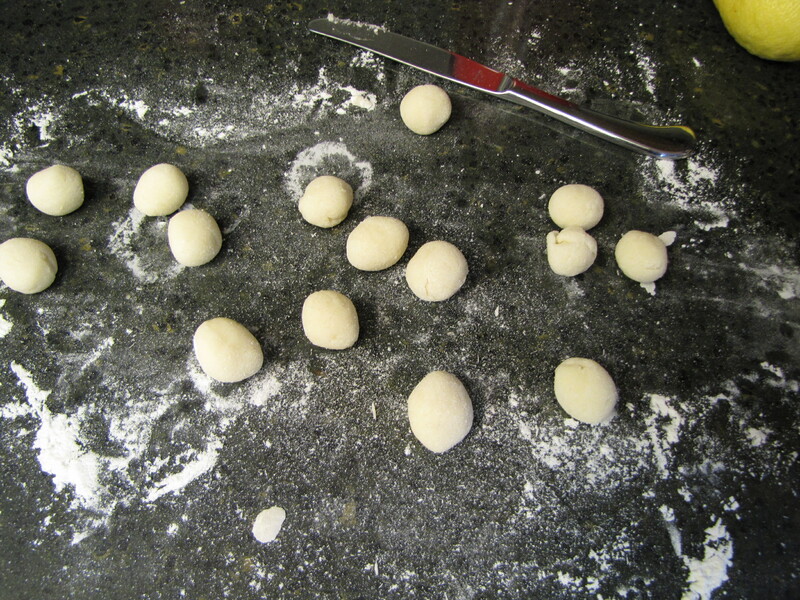 Repeat process with remaining 3 balls of dough. 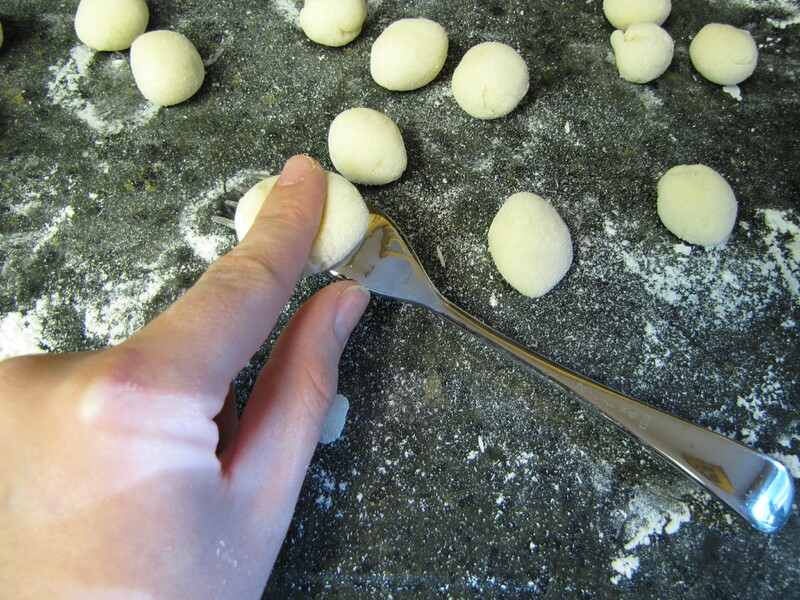 Place gnocchi on a baking sheet coated in cooking spray, cover and set aside. 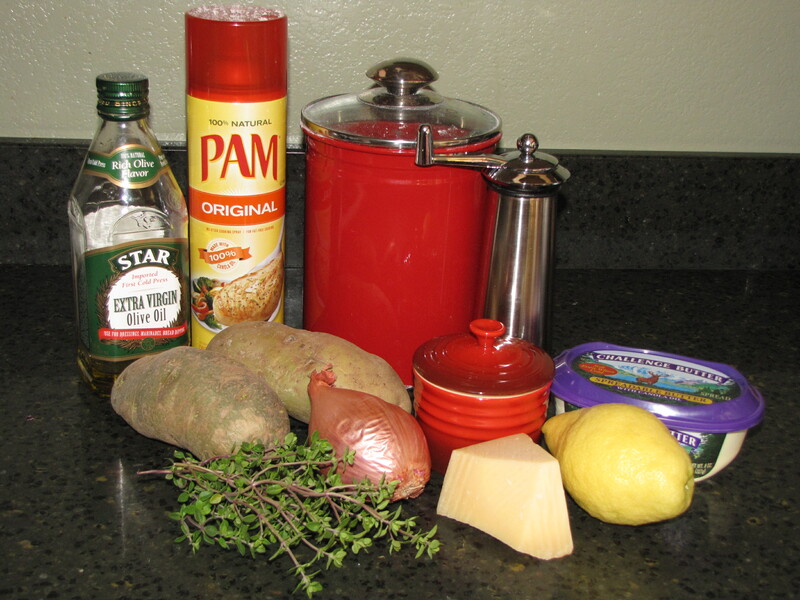 In a Dutch oven, bring 1 gallon (16 cups) of water and 1 tsp. kosher salt to a boil. 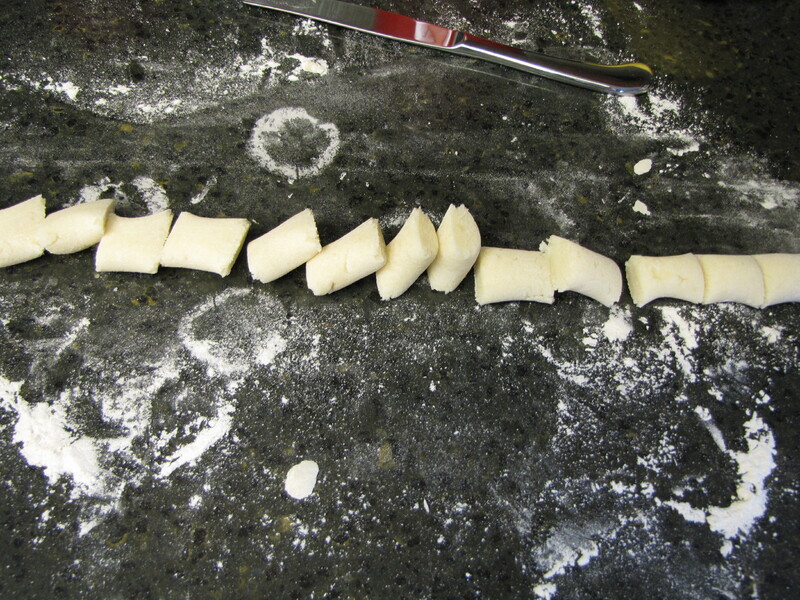 Cook half the gnocchi at a time for about 1 and half minutes. 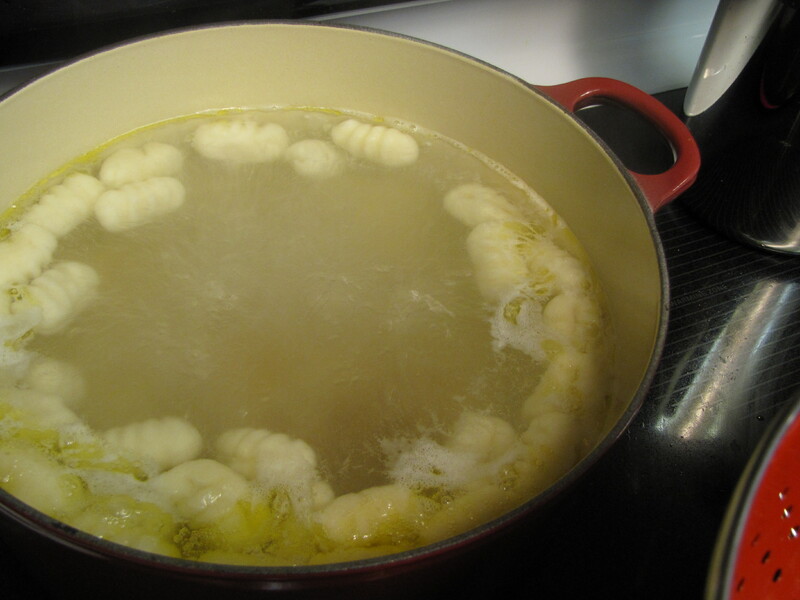 Gnocchi will float when it is cooked. Remove with a slotted spoon and strain. Remember to only cook the half of it at a time or the water will cool down too much and the gnocchi won’t cook properly. While the water is heating you can start the sauce. Heat butter and oil in a pan over medium heat. 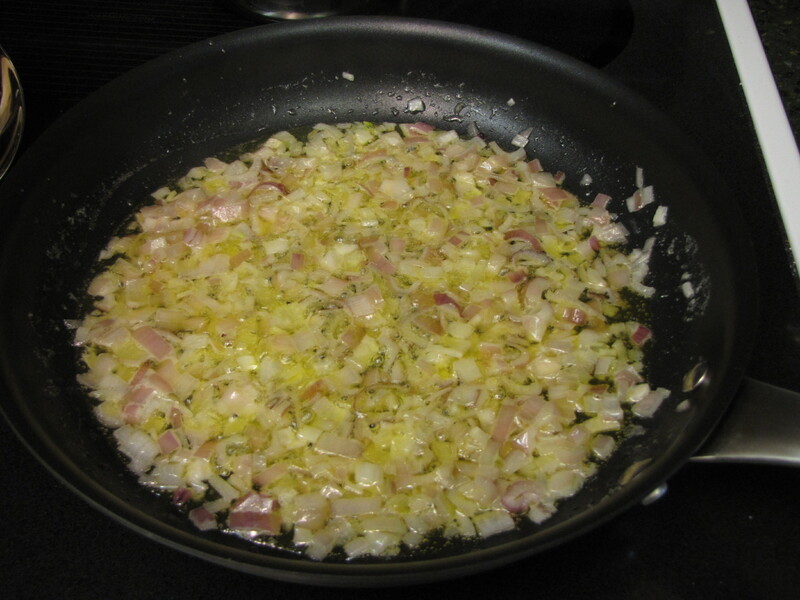 Add shallots and cook for 10 minutes or until tender, do not brown. 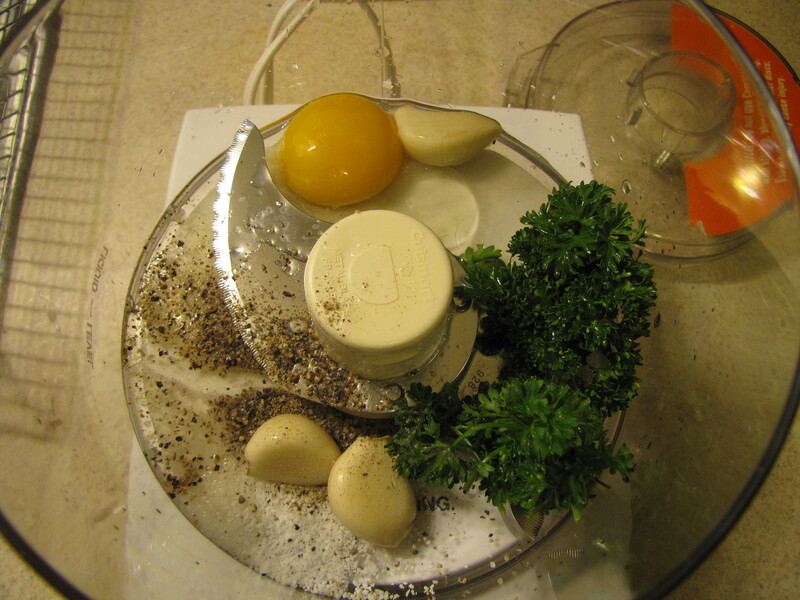 Stir in lemon rind, thyme, juice and a dash of salt. Combine with gnocchi, cheese and pepper in a large bowl and gently toss to coat.